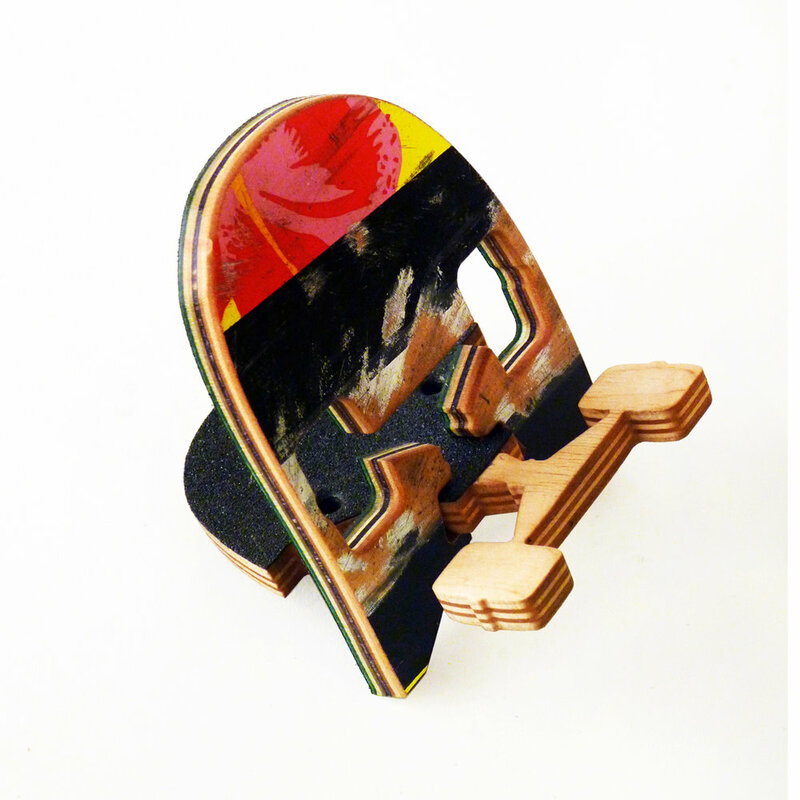 Cool gifts for skaters you love. 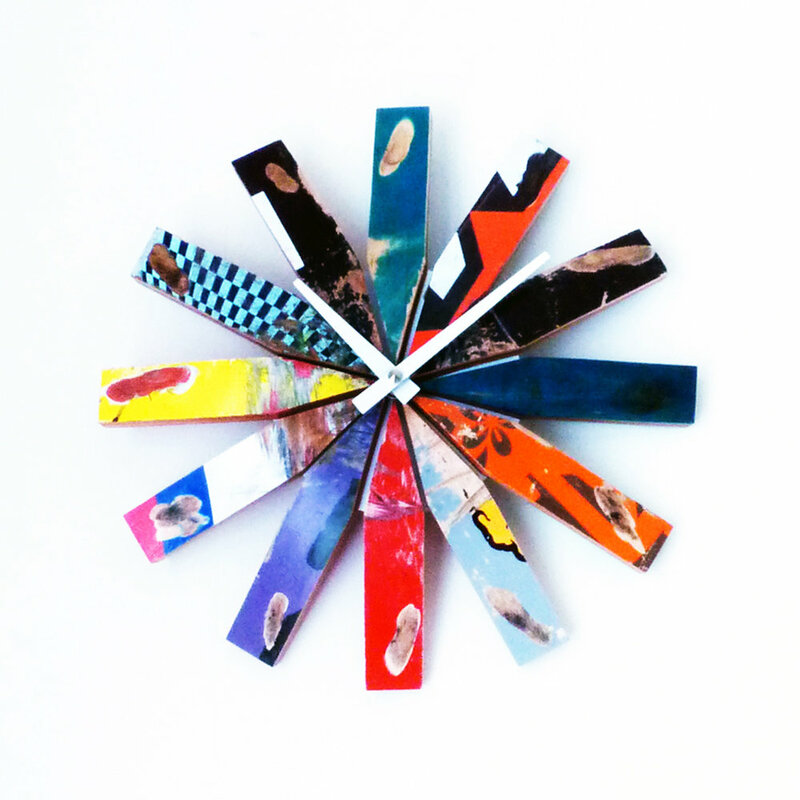 Fun home goods for lovers of modern, recycled design. 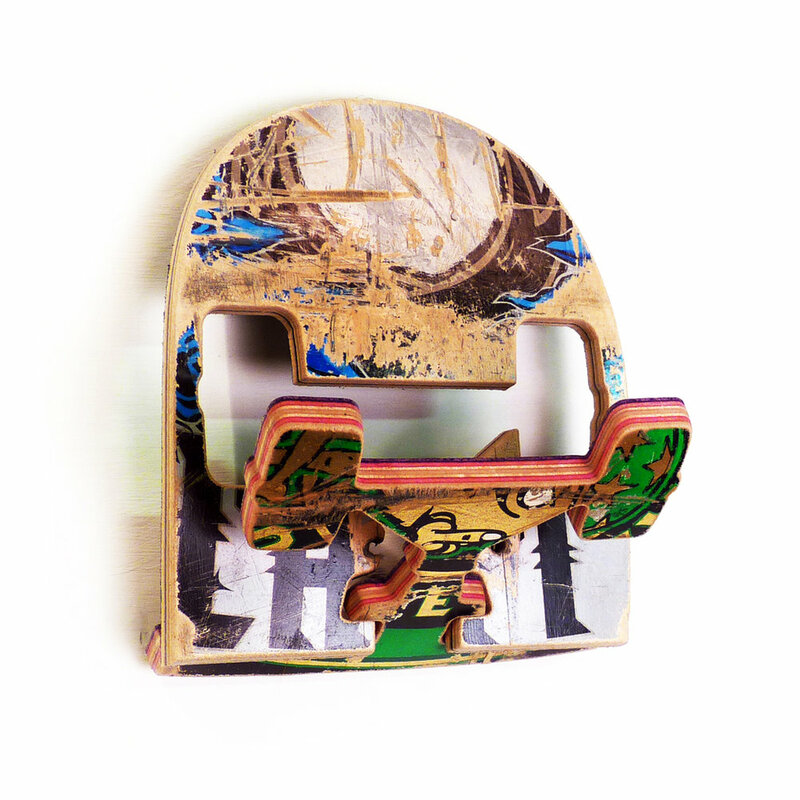 Skate Or Design products are made using real skateboards ripped and recycled the USA. A broken skateboard is usually destined for the landfill. 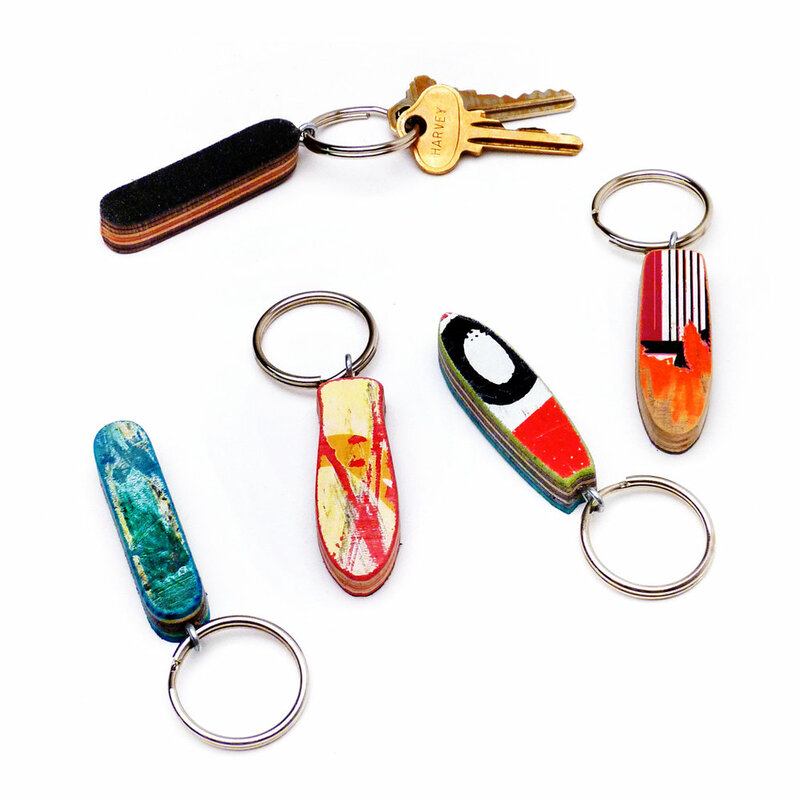 We salvage this colorful and scarred wood waste to craft our one-of-a-kind products. 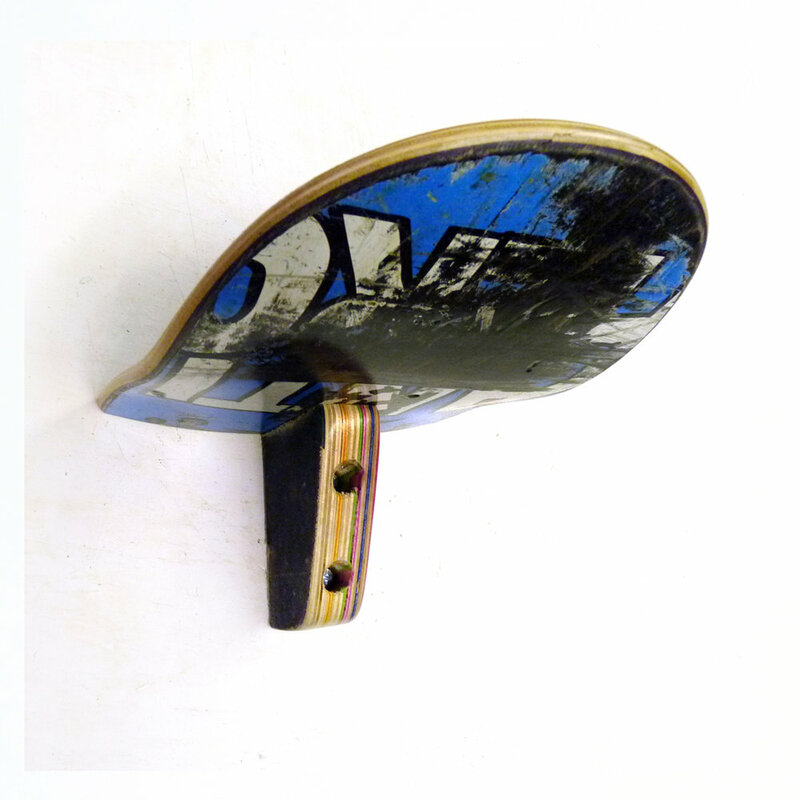 Modern woodworking techniques are used to create precision parts and skilled skateboarder craftsman finish and assemble the components with an artist’s touch. Superior workmanship, design, and quality is guaranteed. Skate decks are sliced lengthwise to make sick shelves. 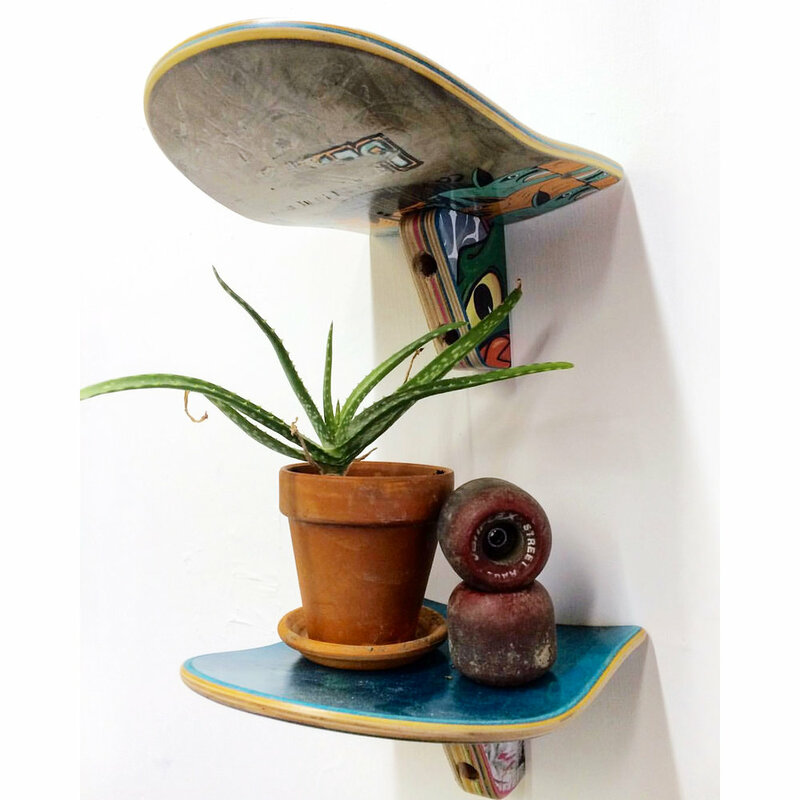 A fun accent shelf made from skateboard noses and tails. The SkateHook your go to for catching helmets, coats, bags and other gear. 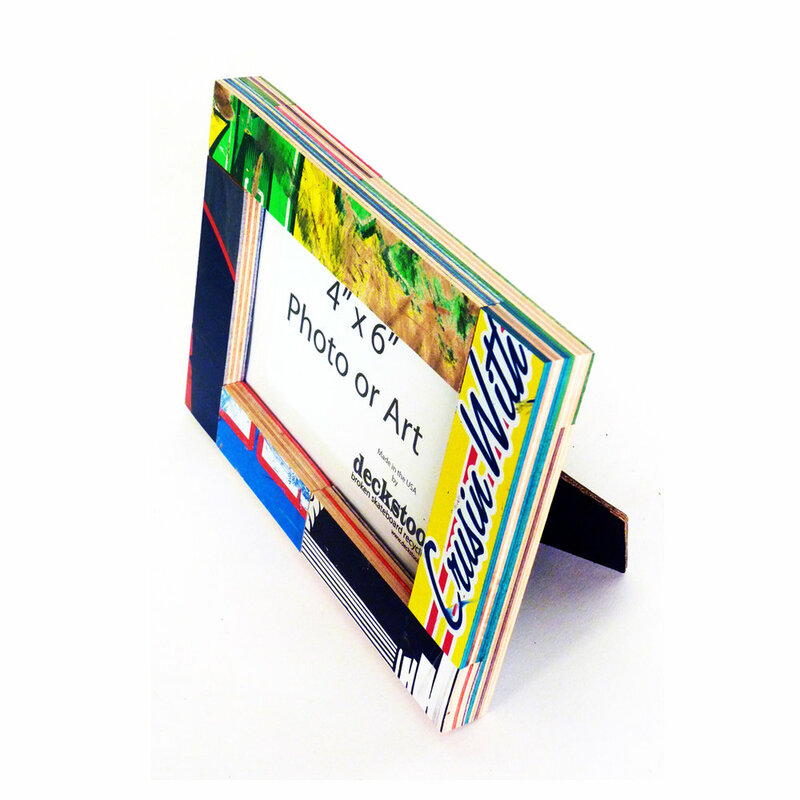 Photo or art frames for your wall or table top. 4x6 and 5x7 standard. Any custom size is possible. 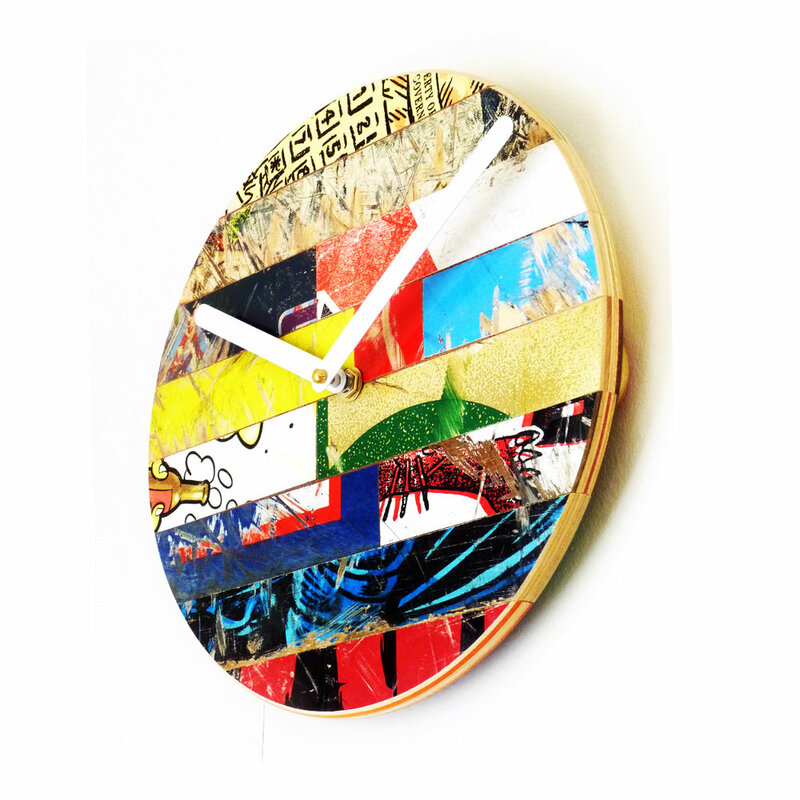 A classic 10” Dia round wallclock made from recycled skateboards. A 10” Dia. Clock inspired by that sometimes frustrating little wheel burn mark. A 10”Dia. 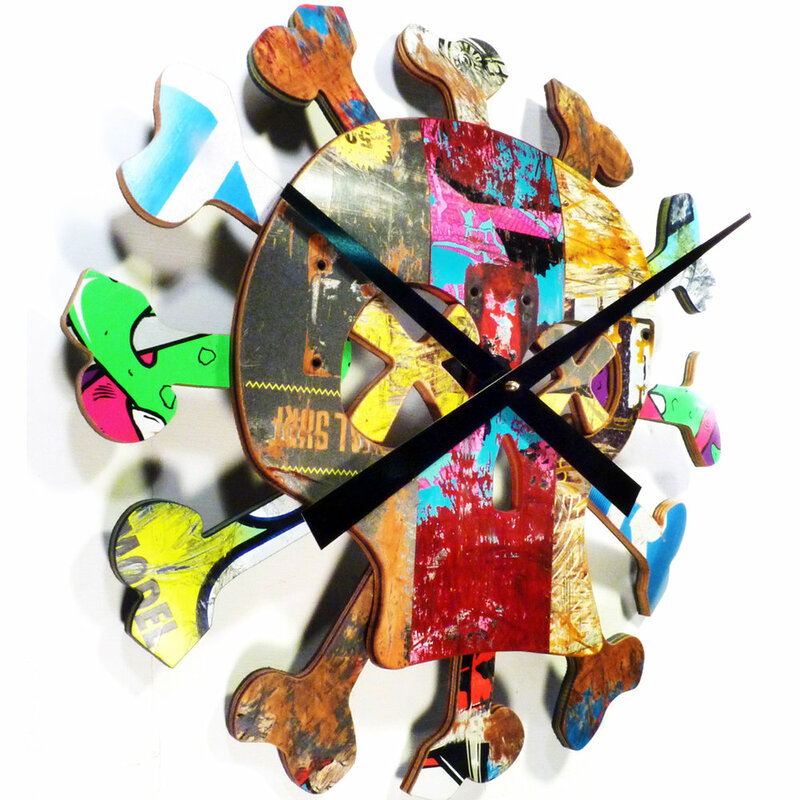 skull and bones wall clock inspired by street art. A big 20”Dia. 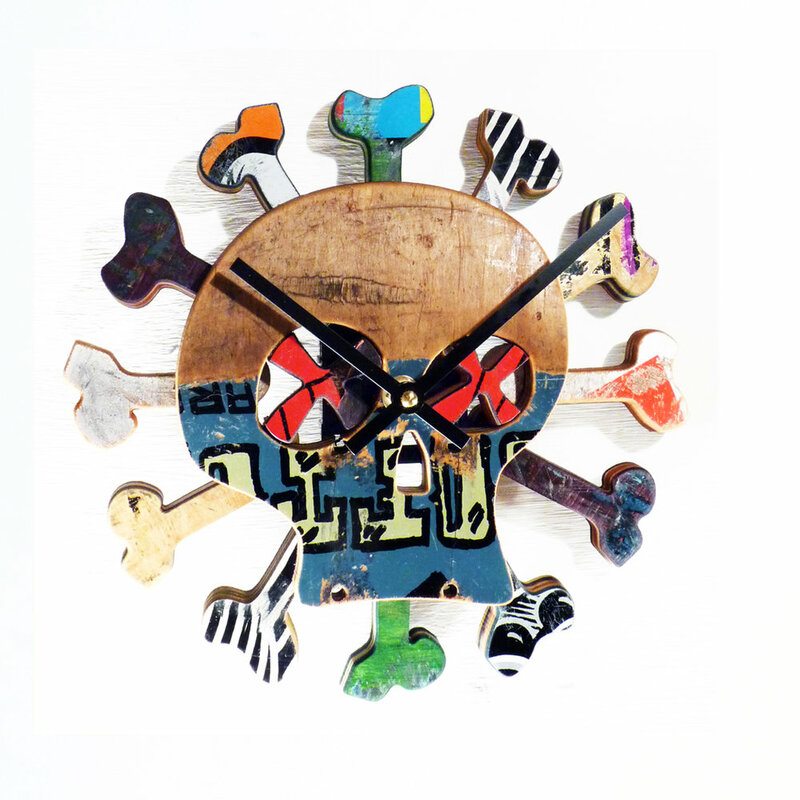 version of our skull and bones wall clock. Got a better idea? 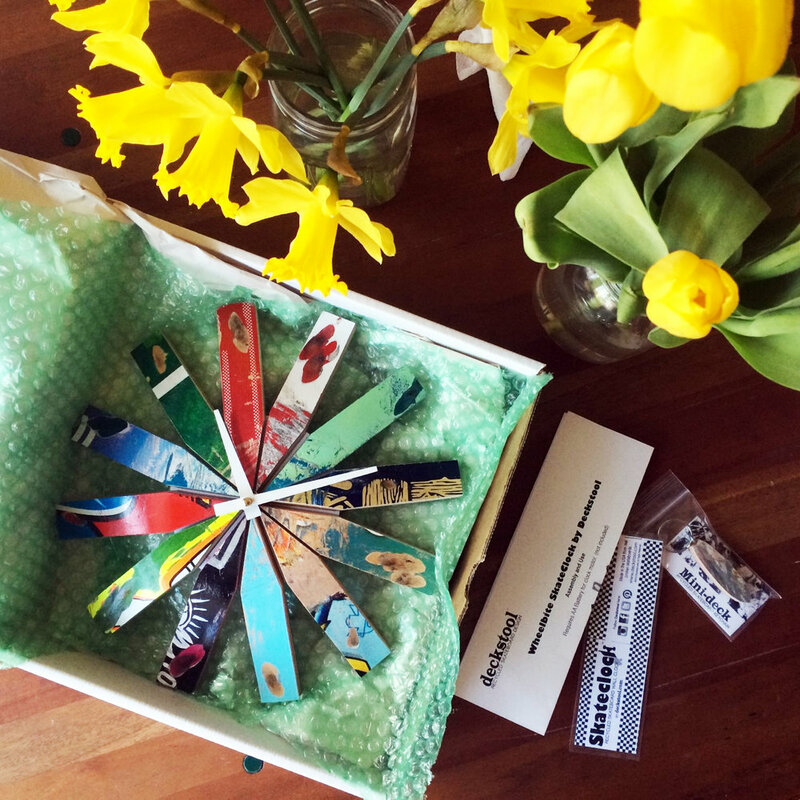 Many of our product designs have been inspired by customer requests. 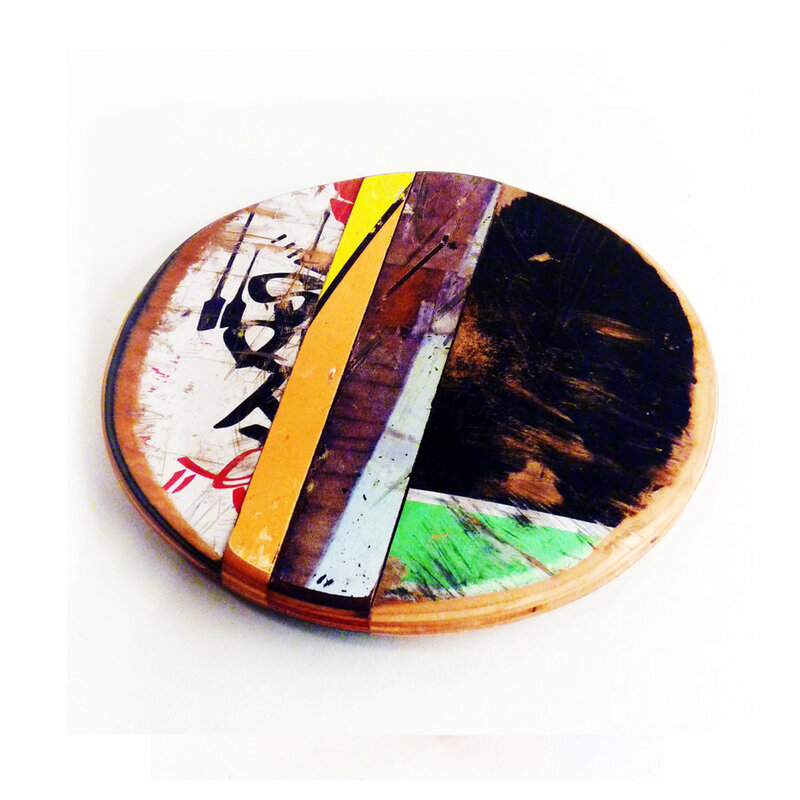 We can design and build almost any home or gift item incorporating our recycled skateboard material or even your own old skateboards! Send us your custom requests*, we will work out a stellar design and present you with a sketch and a quote. Additionally, we can modify our existing product designs and dimensions as you request. 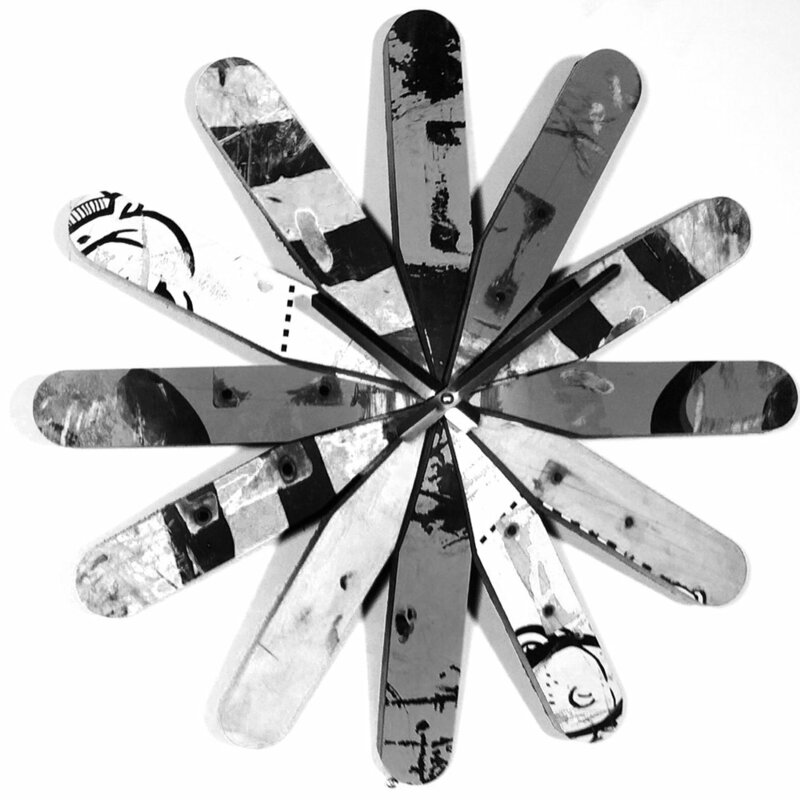 Our custom projects are constructed with the same love, attention to quality and guarantee as our production items. Please contact us to discuss your idea. *Custom project space is limited. We reserve the right to respectfully decline custom project requests due to lack of feasibility or production capacity.